A leading European reusable container pooling company has joined forces with a well known European pallet rental company. Euro Pool System reports having acquired 100% of the shares of LPR (La Palette Rouge). As such the new pallet and reusable container group positions itself as a leading service provider in return logistics and returnable assets solutions, recognised by its customer-driven and lean attitude, while aiming for continued growth in its core markets and beyond. Euro Pool System is Europe’s leading logistics service provider of returnable packaging solutions for fresh produce, holding a 41% share of the returnable packaging for the fruit & vegetable market in continental Europe. In cooperation with European retailers, Euro Pool System focuses on providing optimal, cost-effective and sustainable logistics solutions. The company employs 155 people in ten countries and operates in fifteen countries, in which they manage more than 620 million round trips of returnable trays per year. 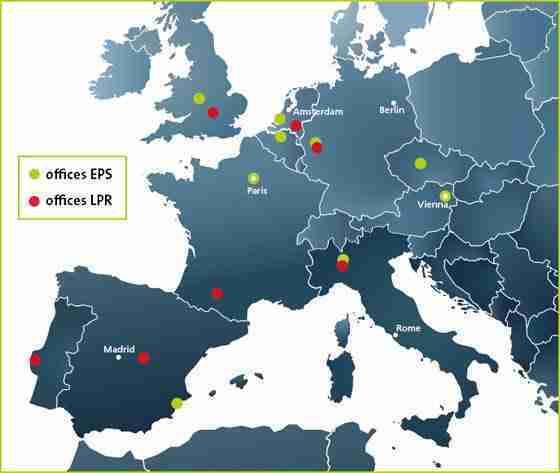 The company has a network of 45 service centres across Europe. In 2009, Euro Pool System had a turnover of 203 million euros. LPR operates a pool of more than ten million pallets with more than 40 million pallet movements annually, and with an annual turnover exceeding 100 million euros. It has 20,000 drop-off points in Europe, 72 depots and 200 employees working in seven subsidiaries: France, Spain, Portugal, Benelux, United Kingdom, Germany and Italy. LPR’s principal shareholder since 2006 has been AtriA Capital Partenaires, a private equity fund. While LPR has been able to grow and to strengthen its market position significantly over recent years it said it was important for the company to attract a new shareholder who could reinforce LPR’s growth ambitions in the European pallet pooling market. • Both LPR and Euro Pool System are recognised by their customers as lean organisations, innovative, and with excellent execution capabilities, building on years of expertise and experience, with a European reach. • There is a perfect match of the geographic footprints of both companies with mutual opportunities to strengthen positions and accelerate growth.